Balloon cover made of 32 stitched heavy duty nylon fabric panels. 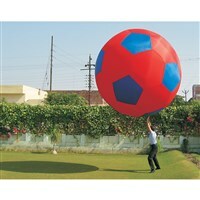 Ball size : 3 m or 10 feet. Can be used for promotion, at beaches, picnics or for fun. Includes 1 x Re-usable bladder. 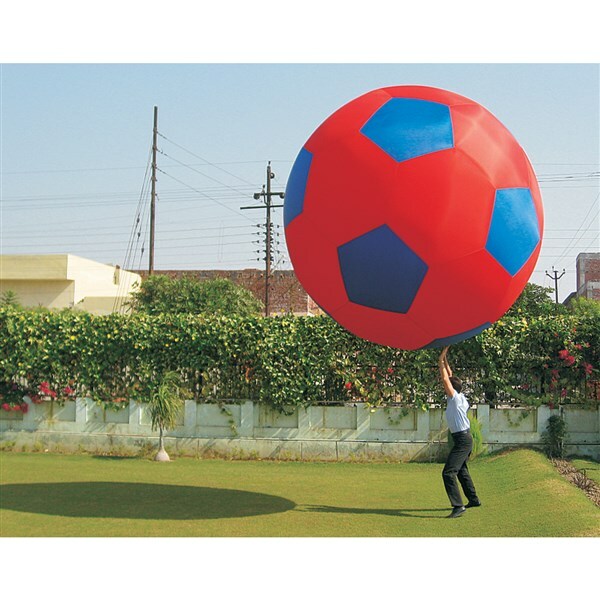 Ball can be inflated in 25 minutes and deflated in 1 minute. Available in other sizes and colour patterns on request.